It’s debatable whether artificial intelligence will create more jobs than it destroys. But the present moment is certainly seeing a bulge in opportunities for humans to wield (or learn) the skills associated with AI and machine learning, and they’re concentrated in just a few countries and specific cities around the world. When the same data was broken down by jobs per million citizens, however, a different picture emerged: Japan was first, Israel leapt to second place (from 12th in the overall rankings), and the UK came third. 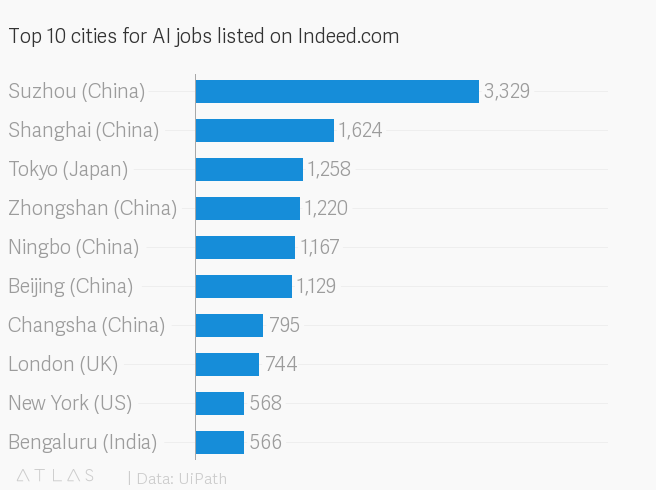 This suggests that those countries are seeking to employ in AI a bigger proportion of their populace than either the US or China, which came fourth and tenth respectively in the jobs-per-citizen rankings. For someone deciding to retrain or relocate, it’s possible the UK is a better job market, therefore, than China. 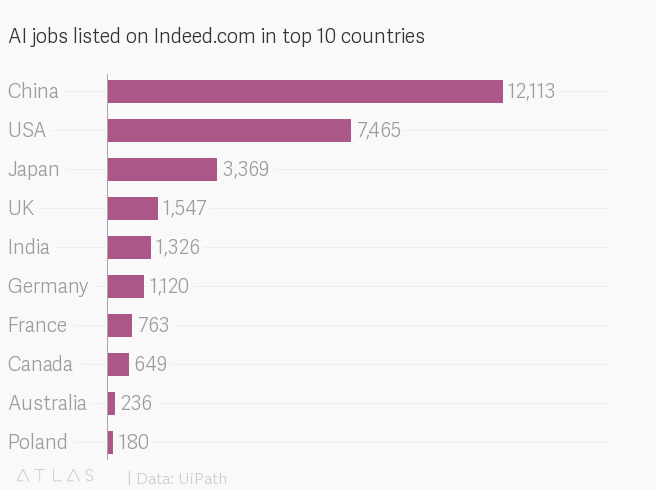 London beat New York for numbers of listed jobs, and New York beat San Fransisco, which came in 12th place. Elsewhere in the US, Santa Clara, California, was 13th and Seattle 15th.